Finding the right moment to release a game is no easy task, but the last two years have made a case for December as the best time to launch a strikingly beautiful indie title. In 2017, Annapurna Interactive published Gorogoa just as the ink was drying on the vast majority of Best of the Year lists. Despite launching at the very end of the busiest time of year for blockbusters, Buried Signal's debut project received huge acclaim and, crucially, found a large enough audience to be a success for its developer. Last month, almost exactly a year on from Gorogoa, Devolver Digital launched Gris, the first game from the Spanish independent developer Nomada Studio. Critics were again drawn to a visually splendid labour of love in a season typically reserved for AAA epics. It's not clear yet how many paying customers followed, but watching even a few minutes of Gris' gameplay will demonstrate that Nomada Studio gave Devolver Digital a truly enticing product to sell. "Conrad is an artist. He doesn't know how to code. We're programmers. We don't know anything about art. 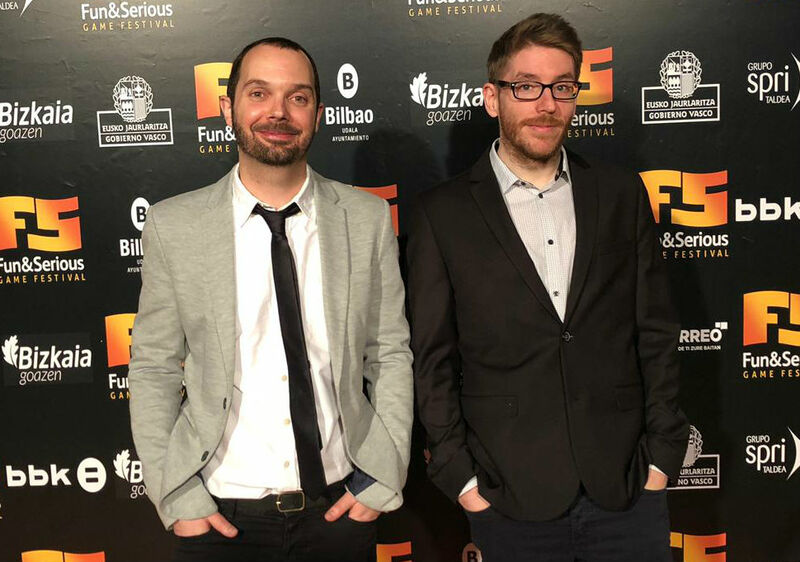 It was a good match"
GamesIndustry.biz met with the founders of Nomada Studio at the Fun & Serious Festival in Bilbao last month, where there was palpable sense of excitement for Gris' impending launch. There was a belief that the game could resonate with people in the same way as Tequila Works' Rime, which did much to raise the profile of Spain's independent developer community. Like Rime, much of that belief is down to Gris' remarkable art style, which is drawn from the work of Conrad Roset, a well known talent in the Barcelona art scene. Roset had no experience of making games, but a chance meeting with two Ubisoft Barcelona programmers, Roger Mendoza and Adrián Cuevas, created an opportunity to apply his talent to a new medium. "Conrad is an artist. He doesn't know how to code. We're programmers. We don't know anything about art," said Mendoza when we met on the Fun & Serious Festival's hectic showfloor. "It was a good match." Independent studios come together in a wide variety of ways, but most often they are composed of people who share a clear link; students from the same game design course, perhaps, or employees of the same development studio. 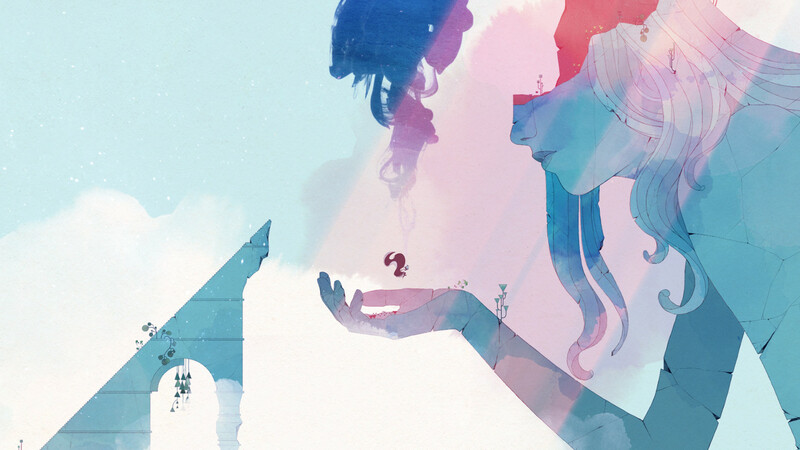 Mendoza and Cuevas had worked together at Ubisoft for several years, but their encounter with the talent that would give Gris much of its identity was so fortunate it is a wonder the game exists at all. "It was a random chance," admitted Mendoza. "We were at a party where we were not supposed to be." "We didn't just want to make a walking simulator. We wanted to have mechanics. We wanted a story behind it"
"We were having a farewell party, because I had to go to Canada [Ubisoft Montreal] for four months to work on Rainbow Six Siege," Cuevas added. "In a random bar we met this friend, who was celebrating her birthday. She's a photographer, who knows a lot of people from the art industry, so we mixed groups. Conrad was in one group, and we were in the other." Even then, the conversation between Roset and Mendoza started only because the latter was bored and there was a vacant chair next to the former. They exchanged the kind of pleasantries that strangers meeting at parties often do, including one reliable standy: "So, what do you do?" Mendoza revealed that he worked in development, to which Roset admitted a longstanding interest in using his art in a video game. When Mendoza and Cuevas saw examples of Roset's extraordinary illustrations, they realised that they had stumbled on a secret weapon by blind luck. Mendoza and Cuevas had often talked of making their own project; not only did Roset possess the artistic skills that they lacked, it was the kind of sumptuous artwork that indie publishers climb all over each other to bring to the market. The trio had a shared love of what Mendoza described as "super small, polished games, that also have a story" -- particularly the work of Playdead and thatgamecompany. But Cuevas was leaving for Ubisoft Montreal, so they focused on "keeping the spark alive, and prototyping things" until his time in Canada was over. "It was very difficult to work at Ubisoft, get home, and then keep on working," Mendoza said. "When Adrian came back, I think in January 2016, we decided to quit Ubisoft, and Conrad stopped all his other stuff." "We think it's a game that can catch the attention of many people, maybe people outside of video games"
"It was a perfect time for us to do it," Cuevas added, noting that, at that time, none of them had families, mortgages, and the kind of responsibilities that often prevent people from taking such risks. "We had been talking about that for a long time. We had to try." It would be disingenuous to play down the importance of Roset's art in what makes Gris such an immediately exciting prospect. However, while it recalls Rime in its aesthetic beauty, it is also reminiscent of Tequila Works' game in that there is far more beneath that alluring surface. Indeed, adding thematic depth was, Mendoza and Cuevas told me, an essential aspect of what Nomada Studio wanted to achieve with Gris. "When we saw Conrad's art we were of course drawn into it. It's eye candy," Mendoza said. "But we didn't just want to make a walking simulator. We wanted to have mechanics. We wanted a story behind it." "We wanted a story, to drive the game along," Cuevas added. "We had the idea of using different colours, and with that was the idea of someone evolving and growing. That's an internal thing, a psychological way to follow the game." 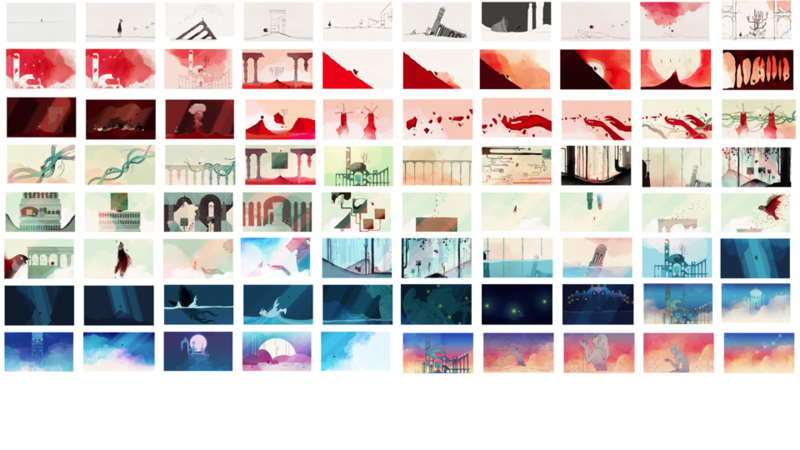 To craft Gris' narrative, Nomada studio consulted with Héctor Fuster, a game designer and a practicing psychotherapist. The goal was to communicate the stages of a realistic psychological journey -- from oppression to empowerment -- but to do so through metaphor and symbolism rather than words and dialogue. As Gris progresses, the changing mechanics, art and music powerfully reflect the protagonist's experience. The intention, Mendoza and Cuevas said, is to reward everyone who invests time in the game, regardless of how closely they look. If all they want to see a beautiful puzzle-platformer, Gris is most certainly that; if they want to see a story about the reawakening of a traumatised woman, it is in the very bones of the game. "We think it's a game that can catch the attention of many people, maybe people outside of video games," Mendoza said, and that applies as much to the gameplay as the narrative themes. "Our idea was to do something accessible, where if there's a puzzle you can probably finish it at the second or third try. When the puzzle is more complicated, we give the player options." "There are a lot of games that base their gameplay in just being really, really challenging," Cuevas added. "For us, having this art, we knew that we have to be more open to other people. We talked about being a mix of Journey and Ori and the Blind Forest -- those are the two main references. We wanted to have a bit more gameplay, but not go too crazy with it." 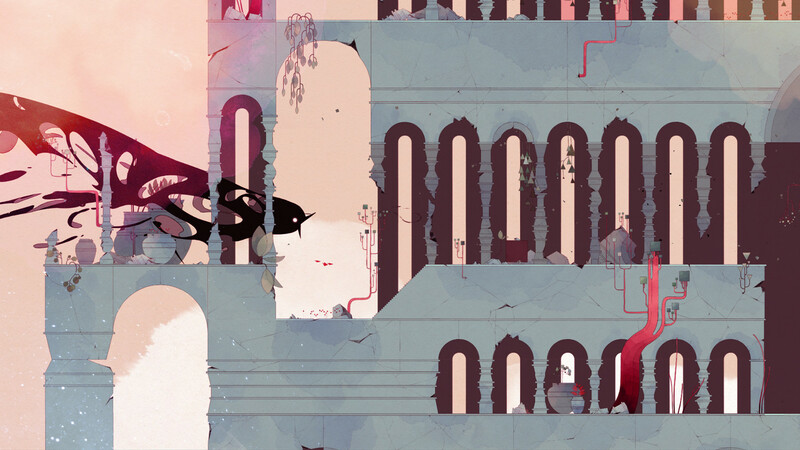 "The idea is that, if Gris does well enough, of course we would love to do another game"
The goal of being accessible to a wide range of people is reflected in Nomada's team. Conrad Roset had no track record in game development, of course, and the studio's founders decided that Gris would benefit from bringing in a broad array of influences. At its peak, the team was composed of 15 people, not including music and sound, and more than half had no experience of making games. "There are a lot of influences from different places that we try to bring together," Mendoza said. "It's pretty insane when you think about how well everything turned out, because we have a lot of people who never worked on video games before." With the game complete, Nomada Studio scaled back down, but it's obvious that Mendoza and Cuevas relished the experience of building a team and running an entire project. Both had been given responsibility in their roles at Ubisoft, but making Gris demanded that they be "producers, programmers, human resources, everything." "It was hard," Cuevas said. "It was a lot, lot, lot of work, but it was enjoyable." "We had no idea about how to build a company, so we met with a lot of people from the industry in Barcelona who have built companies and been successful," Mendoza added. "That was really helpful. People were super honest and open." The question now is what happens next for Nomada Studio. Mendoza and Cuevas impressed upon me the difficulty of finding the right mix of talent in Barcelona; not just Roset's artwork, but also Berlinist, the band that provided Gris' wonderful score. Whether that dream team stays together, and whether Nomada Studio has the chance to hire a bigger team on a permanent basis, will depend on how well Gris performs in the marketplace. "The idea is that, if Gris does well enough, of course we would love to do another game," Cuevas said. "Devolver has told us they are very happy with how everything has been going, and they would like to support us if we go on to do something else. "It has been complete creative freedom [with Devolver]. 'Do whatever you want, however you want to do it. Here's the money, you guys manage it.'" "But, honestly, we have no idea [if Gris will sell]," Mendoza added. "All we know is that we're very proud. It was the game we wanted to make, and the kind of game we enjoy playing. For now, we'll just see what happens." GamesIndustry.biz attended the Fun & Serious Festival as a guest of the organiser.